Art and literature still have a tenacious grip on Sitges and the surrounding areas, and it is still a firm favourite among the more ‘right-brained’ of Spain’s visitors. This love of art is also evidenced within some of the local architecture, such as the Cau Ferrat Museum, which incidentally was Santiago Rusiñol’s home at one time. The Maricel Palace is also a beautiful sight to behold. A good example of how counter-culture thrives here would be Sitges Aquatic Paradise. Back in the nineties, Sitges Aquatic Paradise waterpark was a sight to behold and something to fully immerse oneself in! Sadly the waterpark had to close after only two years due to an unfortunate accident and a lot of debt. Visitors could no longer throw themselves down water slides with reckless abandon, and Sitges Aquatic Paradise was never to be the same. 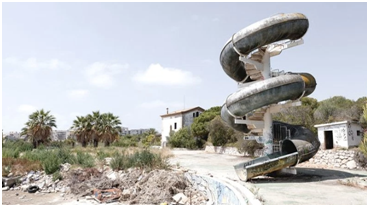 This fascinating waterpark may no longer live up to its name in the original sense, with its current state of disrepair; nevertheless, in true Sitges style, it became a counter-cultural haven for skaters, musicians, models and graffiti artists. What was once an abundance of exciting waterslides and pools had gradually become an entirely different scene; the dried-up, empty pools and rusting slides became a backdrop for model’s photo shoots, a blank canvas for graffiti artists and the perfect stomping ground for skaters. It even became a venue for band practice! Although it has now been closed off, there are redevelopment plans in place to create a 14 acre complex with shelters and an amphitheater. Since the sixties, Sitges has remained the epicentre of Spanish counterculture and although today the politics of the town are considerably more relaxed, the arty, musical, and bohemian attitudes live on. In the 21st century, Sitges continues to embrace its historic roots, as demonstrated in the stunning architecture that reels in visitors. Here is a cornucopia of arts, and every year there are fantastic festivals staged here. 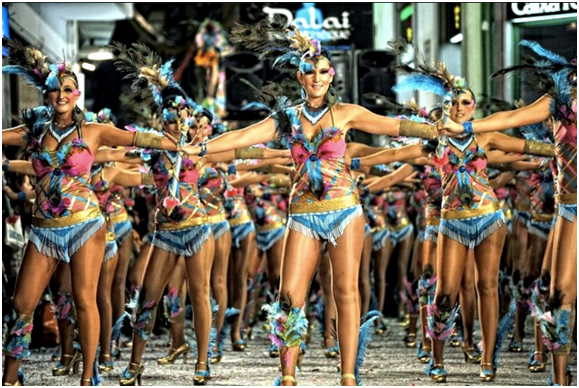 Every year in October, there is the annual Sitges International Film Festival, and an upcoming event not to miss is the annual carnival on 21st February, which promises to be as colourful a carnival as one could imagine! What more reason could a family need to come and experience the freedom and fun of this beautiful region? Well, our familial hotel in Vilanova and many others… so watch this for more!